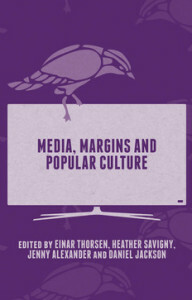 Today a book arrived, Media, Margins and Popular Culture, with the second publication from my PhD. My article relates to statistics showing that the retired population in the United Kingdom is rising and growth in the use of digital technologies and the internet are also increasing within this age group. However, a polarised view of this age range has emerged as either a ‘tech-savvy’ ‘silver surfer’ web user or a fearful, ‘digitally dismissive’ reticent nonuser. This suggests an oversimplified perception of the over-65s, a section of society often ignored in qualitative internet research, and overlooks growing numbers who are using digital technology and the internet for something more than to search and consume online goods and materials. 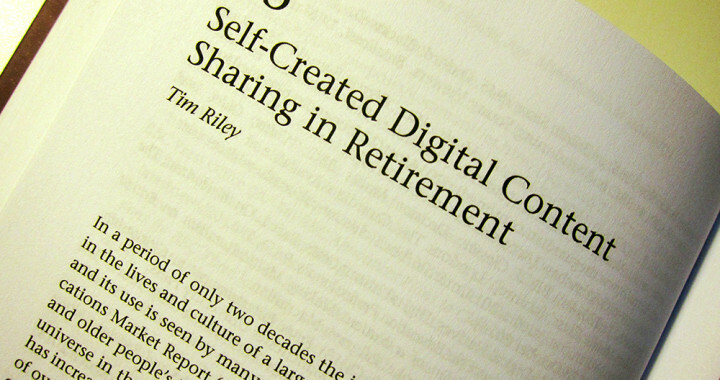 Through the use of qualitative research interviews this paper presents an insight into a small but significant section of retirees who are using the internet to share self-created digital content. Self-created content, in the context of this research, is defined as an arrangement of visual and/or audio material that requires some element of composition or editing. Participants revealed that they were self-initiated in their uptake of post-retirement education. Nonetheless, the acquisition of digital technology skills were often learnt unintentionally and as a consequence of embracing a new interest in retirement or the rediscovery of an old one that they may not have been able to explore prior to retirement. The article addresses how retired web users deploy self-created content sharing practices to communicate online and their motivations for engaging in these practices. Practices of this kind are of importance for individuals’ self-expression and participation in an increasingly digitalised world. I gave a presention (below) at the 2014 Media and the Margins MeCCSA conference in Bournemouth and my paper was accepted for publication. Posted in Digital Media, Media and tagged Content creation, internet, retirement, self-created content, sharing.